Drinking water contamination effects can be devastating to the individual and they can impact entire cultures. As you can see in the section on "Waterborne Diseases", sickness and illness can be devastating to the individual. But society is made up of individuals. The very structure of society depends on the existence of each person. Society and the individual cannot be separated. The success and vitality of a society depends upon each individual having the opportunity to thrive and succeed. But where people exist in a continually half-sick condition, their education and livelihoods can never be one hundred percent fruitful and prosperous. So, the condition of the people becomes the condition of the society. 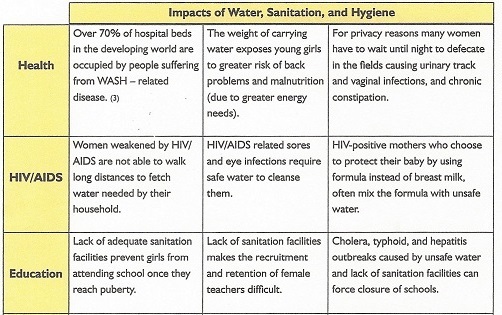 The table on this page summarizes some drinking water contamination effects, and the burden placed in individuals and communities that do not have ready access to clean water, adequate sanitation, and good hygiene. You will notice that certain groups are often more seriously affected than other groups. 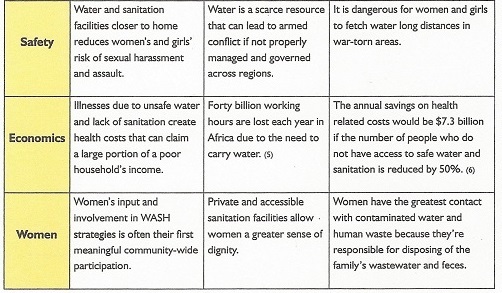 Women and children often experience the impact of a lack of water, sanitation, and hygiene more than other groups. The responsibility for collecting water often falls upon women and children. They may need to carry heavy loads of water for long distances on a daily basis. It is said that, in the Amazon basin children are not given names until they are two years old. The infant mortality rate (often a function of access to safe water) is so high that many children do not live that long. This may be true in other places as well. 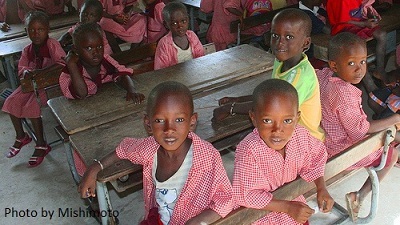 Health and education are severely impacted by a continual lack of safe water. In Africa, or anywhere there is a high incidence of HIV/AIDS, the need for clean water is even greater. A lack of clean water and adequate sanitation can lead to safety concerns, especially in war torn areas. In a society that suffers the illnesses associated with a lack of clean water, the economy is also severely affected. Return to : "The Problem" from "Drinking Water Contamination Effects"